Armed police patrol outside a mosque in central Christchurch, New Zealand, Friday, March 15, 2019. At least 50 people were killed in a pair of mosque shootings in Christchurch, New Zealand, on Friday. Dozens of others are among the injured and missing. In addition to New Zealanders, the victims include citizens of other Middle Eastern and Southeast Asian countries, including possible Syrian refugees. The first victim has been identified: 71-year-old man Daoud Nabi, who immigrated from Afghanistan in the '80s. 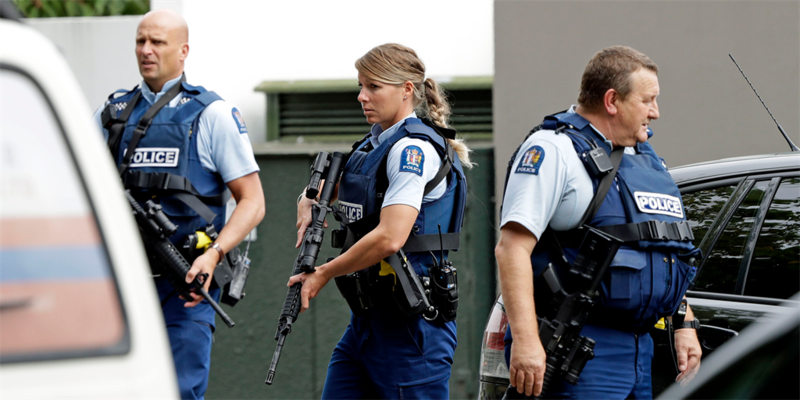 At least 50 people have been killed in shootings at two mosques in Christchurch, New Zealand, on Friday. Dozens of people are being treated for gunshot wounds. Officials in Malaysia, Saudi Arabia, Pakistan, Turkey, Bangladesh, Jordan, and Indonesia have said their citizens are among those killed and injured, and Syrian refugees are believed to be among the victims. According to a list compiled by the Red Cross, people from New Zealand, India, Fiji, Kuwait, Palestine, the United Arab Emirates, Egypt, and Bangladesh, are also among the victims and among the missing persons unaccounted for. 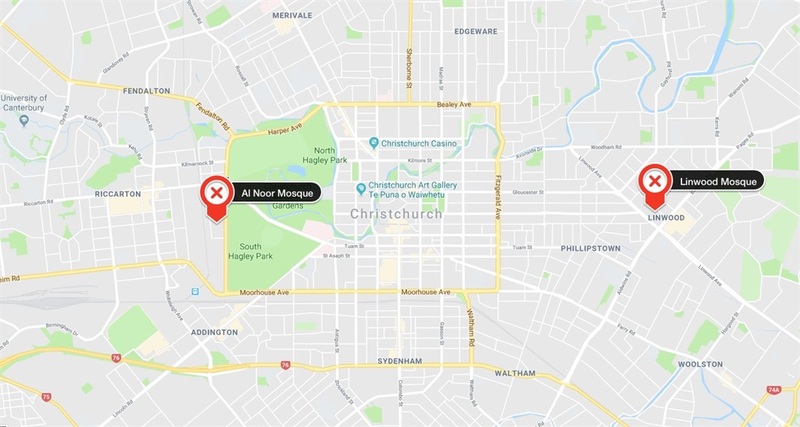 At least 41 people were killed in the Al Noor Mosque in Christchurch. At least seven people were killed at Linwood Mosque, about 5 kilometres away. At least two people died from their injuries at Christchurch hospital, and the death toll has risen to 50. On top of that, at least additional 48 people with gunshot wounds were taken to hospitals. In a statement, David Meates, the chief executive of the Canterbury District Health Board, said that Christchurch Hospital was treating 48 people whose injuries ranged from critical to minor. He said other health facilities were dealing with more people with gunshot wounds. "Around 200 family members are on site awaiting news of their loved ones," he said. "Together with police we are providing support to these people." Several young children were also killed or injured. Meates said the hospitals' patients included young children, though he did not say how many. These include a 4-year-old child, and a 5-year-old child and her father. The Sydney Morning Herald reported that a 4-year-old boy was in critical condition at Christchurch Hospital. Survivor Khaled Al-Nobani told the New Zealand Herald that his friend and his 5-year-old daughter were both shot and at the hospital. A father of three was shot as he ran away with his children, according to a survivor. Al-Nobani also told the Herald that the gunman shot a man as he ran away with his three children. He said he helped the children, but did not comment on the current status of the man. Syrian refugees, including children, are said to be among the victims. New Zealand's Newshub reported that several Syrian refugees are among the victims. Ali Akil, of Syrian Solidarity New Zealand, told Newshub that a father in one refugee family was killed. He also said that one refugee child was missing and another was hospitalised in a critical condition. "It is deeply saddening that these refugees have come all the way from Syria to New Zealand, thinking that it was a safe haven," he said. "They escaped death and torture in Syria, to come to New Zealand, and be killed here." Three people from Bangladesh were killed and at least four others were injured. Two are in critical condition. Shafiqur Rahman Bhuiyan said "so far" three Bangladeshis have been identified among the dead. He says one person's leg had to be amputated and another has gunshot wounds to his chest. Pakistan's foreign ministry said nine of its citizens were killed. "Identities are being authenticated in consultation with local authorities," Mohammad Faisal, a spokesman for Pakistan's foreign ministry tweeted. Pakistan's foreign ministry described the attack as an "assault on the values of freedom of conscience and association common to all mankind" and asked New Zealand to ensure the safety of the Muslim community. At least three Jordanians were killed. Turkish President Recep Tayyip Erdogan described a suspect in the attacks at a rally as "impertinent, immoral, vile and scum". He said the gunman chose innocent worshippers as an easy target. "As Muslims, we will never bow our heads, but we will never fall to the level of these vile people," he said, according to the Associated Press. Two people injured are from Malaysia. Malaysia's foreign ministry said two citizens were injured and were being treated. The Malay Mail named one man as Rahimi Ahmad, and said he was in a critical condition after being shot in the abdomen and spine. Ahmad is a a technician who moved to New Zealand four years ago to support his wife, Norazila Wahid, in her studies, the Mail reported. They have two children, aged nine and 11. His mother told the outlet: "I was so worried because he goes to a mosque near his house which looked like the mosque in the news." Saudi Arabia says one of its citizens is among the injured. 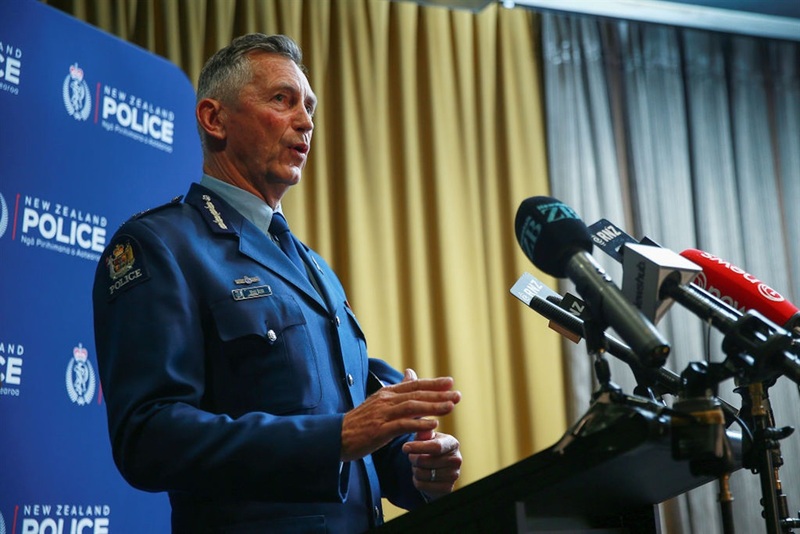 "A Saudi citizen was injured with non-threatening wounds during the shootings and was reassured of his health and safety," the Saudi Embassy in Wellington said in a statement, Arab News reported. The status of three Indonesians who were in the Al Noor mosque is not known, the foreign ministry said. Three Indonesian men escaped the shooting. But Indonesia does not know where three other Indonesians are now, the foreign minister said on Friday, according to The Jakarta Post. India fears two Indian nationals, and four people of Indian origin, are among the victims. India's high commissioner to New Zealand told the BBC there were unconfirmed reports of two Indian nationals and four people of Indian origin among the victims. He said there were about 30,000 Indian passport holders and people of Indian origin in Christchurch. The first victim has been named — a 71-year-old man named Daoud Nabi. Nabi is the first confirmed victim of the shootings. Originally from Aghanistan, his son told NBC News that his father was shot when he threw himself in front of another worshipper.